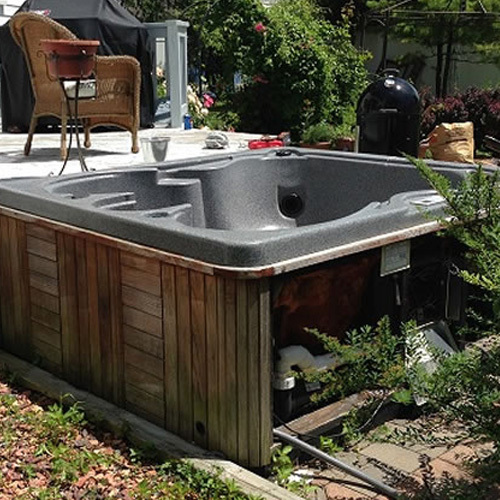 Whether you are replacing your hot tub with a newer model or you have decided to do away with it altogether, something has to be done with that old tub. However, getting rid of an enormous, heavy piece of plastic or fiberglass is not the easiest thing. Plus, you would certainly like to recycle the parts that qualify, wouldn’t you? 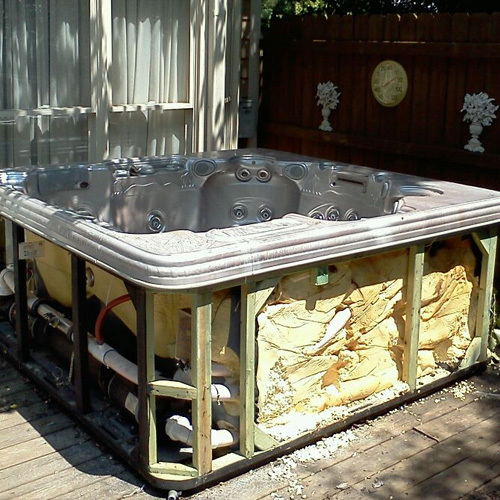 There are few household items that you may need to help with removal that are bulkier and difficult to handle than a hot tub. In fact, because of this most junk removal firms charge a premium price for removing this piece. Not Flat Rate Junk Removal! We always offer our flat rate price structure—no matter what you may need to have hauled. 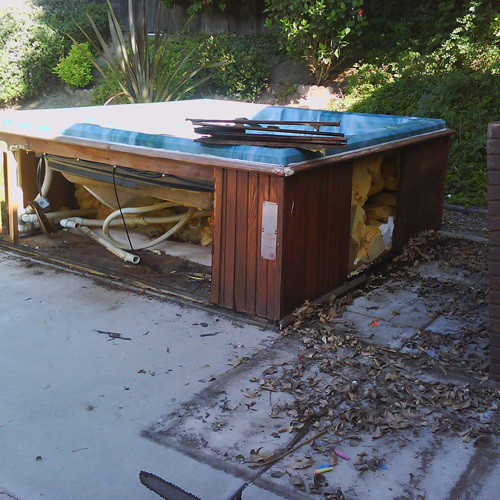 Flat Rate Junk Removal will come to your location, pick up your tub and haul it off for you. In addition, we always recycle everything we are able—doing our part to help protect the environment. Finally, we will clean up the area, leaving it neat and clean. Our disposal price is all-inclusive and, as always, a simple flat rate. Make sure and take advantage if you have other items like lawn furniture, barbeque grills or yard waste to dispose of too! Call us at 1-800-299-JUNK today and make an appointment. 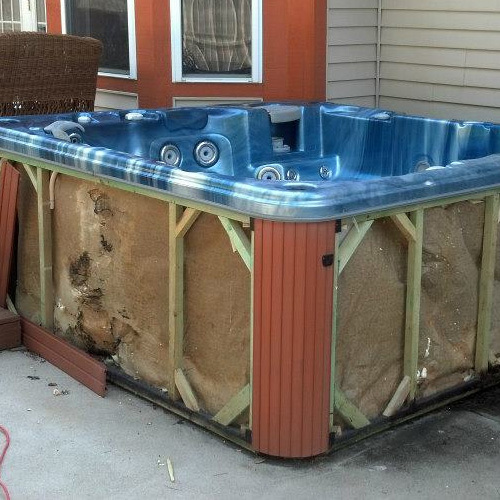 We would love to help you get rid of your hot tub—and you will feel good knowing you will pay our flat rate fee structure.